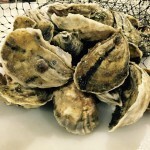 Oysters are grown in cages raised a foot or so off the bay bottom. This protects the oysters from predation and keeps them clean. 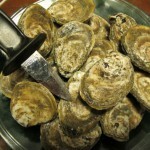 It also results in thinner-shelled oysters.